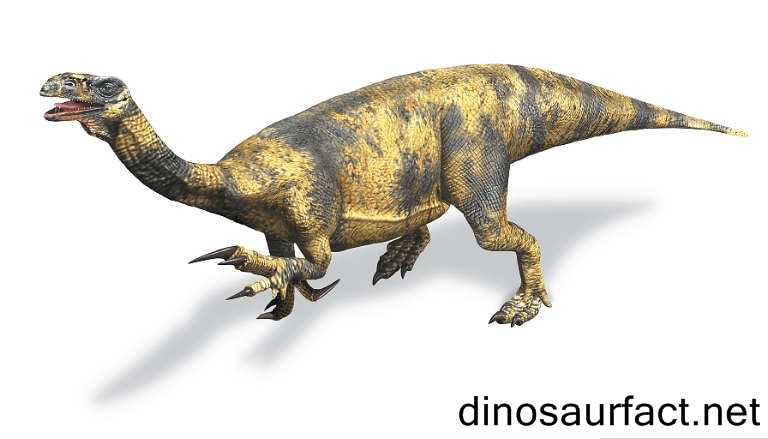 The Efraasia was an herbivorous dinosaur which was existent in the Norian age of the Triassic period. It was present on the earth about 215 to 205 million years ago. In was a medium sized dinosaur, which could have been bipedal or a quadruped. The fossils of the Efraasia were first discovered in Germany by Albert Burrer in 1902. They remained unclassified at that time. Larger remains were excavated by Eberhard Fraas in the year 1912. The current classification of the Efraasia has taken a long time to arrive at. The 1912 fossils were initially christened as Thecodontosaurus. These and a few others were later grouped under the genus Efraasia. The dinosaur was about 18 to 21 feet in length and possibly weighed about 300 to 600 kilos. Fossils now attributed to the Efraasia have been unearthed by different scientists. The first and last fossils had been discovered a decade apart. The pilot specimen was discovered by a stonemason Albert Burrer in 1902. He was charged with digging a quarry near Pfaffenhofen in Wurttemberg. This location lay in the Stubensandstein Member of the Lowenstein Formation. A variety of fossils were discovered in the course of this excavation. These remains were donated to E. Fraas, a prominent German paleontologist. Friedrich von Huene had discovered a few sacral vertebrae, bones of the hind legs and parts of the pubic bone in the Lowenstein Formation between 1907 and 1908. These are today grouped with the fossils of the Efraasia according to certain paleontologists. An incomplete skeleton was also discovered by von Huene during the same time period which was also considered part of the Efraasia by certain scientists. This was found slightly deeper in the structure. Eberhard Fraas discovered parts of two skeletons in the Lowenstein Formation in 1912. These are also considered to belong to the Efraasia according to the most recent studies. A few other specimens have also been discovered intermittently. The classification of the all the fossils which are today melded under the genus Efraasia has not been an easy task. In fact, the process has been confounding even for paleontologists. As described above, the remains of the Efraasia were found in several places and classifying them together was the challenge. The specimen discovered by Burrer was handled over to Fraas in 1914. Fraas had also discovered other skeletal remains in 1912. Due his ill health, Fraas was unable to investigate these remains thoroughly. He had provisionally named them Thecodontosaurus diagnosticus. Friedrich von Huene examined the remains as proxy for Fraas and tentatively renamed those Paleosaurus diagnosticus in 1932. The name Paleosaurus was already utilized by scientists Riley and Stutchbury in the year 1936 and this was noticed by paleontologist Oscar Kuhn. He renamed the genus Paleosauriscus. Allen Charig started the practice of using the name Paleosauriscus diagnosticus. However it was later noted that the name 'Paleosaurischus' was also utilized almost a century ago. The fossils discovered by Friedrich von Huene in 1907/1908 was christened Teratosaurus minor. The second skeleton discovered by von Huene was presumed to be a completely different Sellosaurus. To solve the issue of the redundant name Paleosaurischus, Peter Galton renamed the genus 'Efraasia'. This was derived from E. Fraas's name. Using Fraas's name also ensured that the redundancy issue would not arise again. The binomial name of the fossils now became Efraasia diagnosticus. Robert Bakker and Galton contested a few years later that the fossils of the dinosaur Sellosaurus gracilis also be classified under the genus Efraasia. Further modifications were done to the classification of these fossils by Adam Yates in 2003. He ascribed the Sellosaurus gracilis remains to the genus Plateosaurus and named them Plateosaurus gracilis. He clubbed the Teratosaurus minor and the Paleosaurischus/Efraasia diagnosticus remains to the binomial name Efraasia minor. The genus Efraasia has also seen many taxonomic shifts. The remains were considered theropods by F. von Huene. However, the most widely accepted classification of genus Efraasia is that it belongs to clade Eusaurischia and sub order Sauropodomorpha. It is considered a basal sauropodomorph. The name ‘Efraasia’ was chosen for the species to honor the paleontologist Eberhard Fraas who discovered most the remains which today are attributed to the Efraasia. The name was suggested by Peter Galton in 1973. The specific name Efraasia minor was derived from the specific name of the Teratosaurus minor. The Efraasia was a moderate sized dinosaur. Its length was about 6 to 7 meter. It was initially thought that the Efraasia was 2 to 3 meters long, but this error had occurred due to the fact that the remains examined were that of a juvenile specimen. The Efraasia could have been an obligatorly bipedal or partially quadruped. Certain paleontologists maintain that it could not have achieved pronation, or inward movement of the radius. Such movement would be necessary to walk on four legs. The fingers of the Efraasia were long and its thumbs were dexterous. This indicates that they were adapted for gripping, which may indicate that if the Efraasia was indeed a quadruped, it most likely could have supported itself on its hind legs for tearing off vegetation from higher locations. The fossil of its skull was small with acute angles. This indicated that its head was fairly triangular in shape. The Efraasia was herbivorous. Herbivorous dinosaurs far exceeded carnivorous one in the late Triassic period. It lived in wooded areas which were abundant with small water bodies. The reason for the confusion in the classification of the fossils of the Efraasia was that it showed similar characteristics to theropods, sauropods and prosauropods. It is certainly not very closely related to theropods. But its relationship with sauropods is not yet thoroughly understood. It is considered less evolved than prosauropods. The Efraasia has seen many classification changes. As more evidence is discovered, the currently accepted facts about it may also see changes. The Efraasia may have been a common ancestor for other groups of dinosaurs, making the classification process ever so difficult. 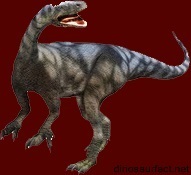 The established details about the Efraasia are that it was medium sized, herbivorous dinosaur. Other morphological characters are also well documented due to the abundance of fossils evidence. But the lineage of the Efraasia interests paleontologists even today.